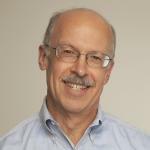 David Savitz is currently Professor of Epidemiology and Obstetrics and Gynecology, Brown University. He began his academic career as Assistant Professor in the Department of Preventive Medicine and Biometrics at the University of Colorado School of Medicine and moved to the University of North Carolina School of Public Health in 1985. He served as the Carey C. Boshamer Distinguished Professor and Chair of the Department of Epidemiology until the end of 2005. From 2006-2010 he served as the Charles W. Bluhdorn Professor of Community and Preventive Medicine, and Director of Disease Prevention and Public Health Institute at Mount Sinai School of Medicine. His teaching is focused on epidemiologic methods and he authored a book entitled “Interpreting Epidemiologic Evidence.” He directed 29 doctoral dissertations and 15 masters theses. He has served as editor at the American Journal of Epidemiology and as a member of the Epidemiology and Disease Control-1 study section of the National Institutes of Health and currently is an editor at Epidemiology. He was President of the Society for Epidemiologic Research and the Society for Pediatric and Perinatal Epidemiologic Research and North American Regional Councilor for the International Epidemiological Association. His primary research activities and interests are in reproductive, environmental, and cancer epidemiology. Dr. Savitz received his undergraduate training in Psychology at Brandeis University and a Masters degree in Preventive Medicine at Ohio State University in 1978, and his PhD in Epidemiology from the University of Pittsburgh Graduate School of Public Health in 1982. He was elected to membership in the Institute of Medicine in 2007. He served in the ICNIRP Standing Committee on Epidemiology from 1997 until 2012 and was appointed a Member of the ICNIRP Scientific Expert Group (SEG) in March 2013.